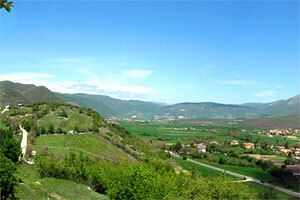 Villa Tardioli features a garden and a bar in Castelluccio. Boasting a 24-hour front desk, this property also provides guests with a restaurant. The rooms come with a terrace with city views. A continental breakfast is served every morning at the property. At the guest house all rooms are fitted with a balcony. 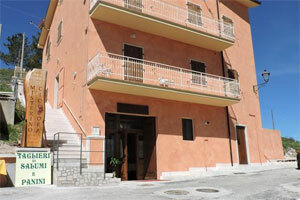 Il B&B Armonia e Relax, a circa 10 minuti dal centro storico di Norcia e situato in una splendida posizione panoramica, è ideale per un soggiorno lontano dalla vita frenetica della città, tra la natura, la storia e i sapori che caratterizzano la valle di Norcia, relax e vacanze assolutamente particolari. 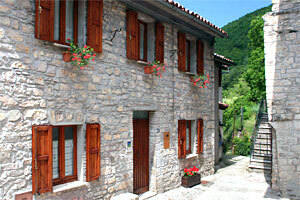 Sentieri Sibillini B&B is located in Vallinfante, in the Sibillini Mountains National Park, at the foot of high mountains, in an uncontaminated environment made of woods, water springs and wildlife. 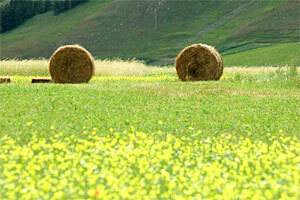 It is 10 minutes away from Visso, National Park`s headquarter, and Castellucco di Norcia, famous for its spectacular flowering. Inviting country house few minutes from Norcia, surrounded by the extraordinary quiet and the uncontaminated nature of the Sibylline Mountains National Park. The Hamlet whose name honors one of the hostess, is managed with grace and exquisite hospitality, reflecting the philosophy of Bed & Breakfast in the countryside.